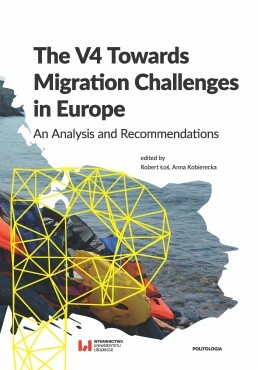 The culmination of the large-scale influx of migrants in the European area in 2015 and 2016 has not only led to severe pressure on the affected countries – transit countries as well as countries of destination – but also to the questioning of fundamental achievements of the European Union such as the freedom of movement. The migrant crisis also shed light on pressing issues still in need of satisfying responses reflecting reality, such as the case of the revision of the 1951 Geneva Convention on the status of refugees and the Dublin Ili Regulation setting forth that an asylum application needs to be filed in the first country of entry. Not only did the crisis reveal already existing ruptures between Western and Eastern Europe, but it also showed that the European Union as such is incapable of taking firm and swift decisions regarding the protection of its own borders and citizens against an unprecedented influx of irregular migrants – many of them without official documents. Czech Republic, Hungary, Poland and Slovakia are all sceptical towards the idea of positivist humanitarian approach towards migrations and introducing limits on accepting refugees for each EU state. Such reluctance derives from many different aspects, from political and geopolitical to social and cultural. Does V4 region is in fact threatened by migration crisis? lt is evident, that Hungary being the transit state can face significant threats. However, none of those states have the status of settlement countries or long-standing destinations.